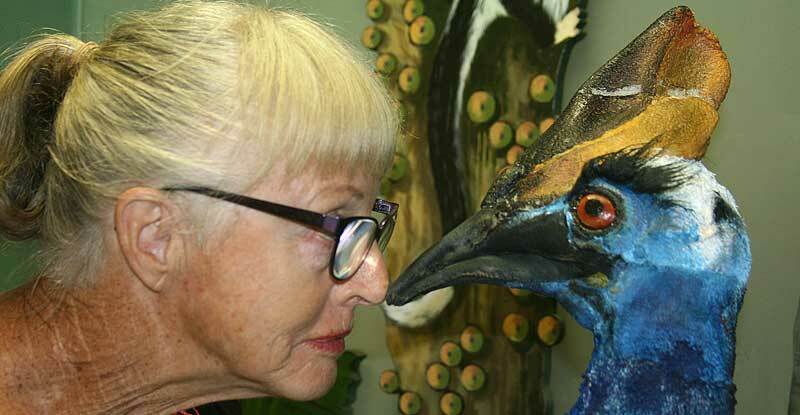 Colin the Cassowary has kindly been donated to the Wet Tropics by artist Anne O’Brien from Fiji. Anne makes life-sized, realistic sculptures using recycled fabrics – see her anniemalsartist website. 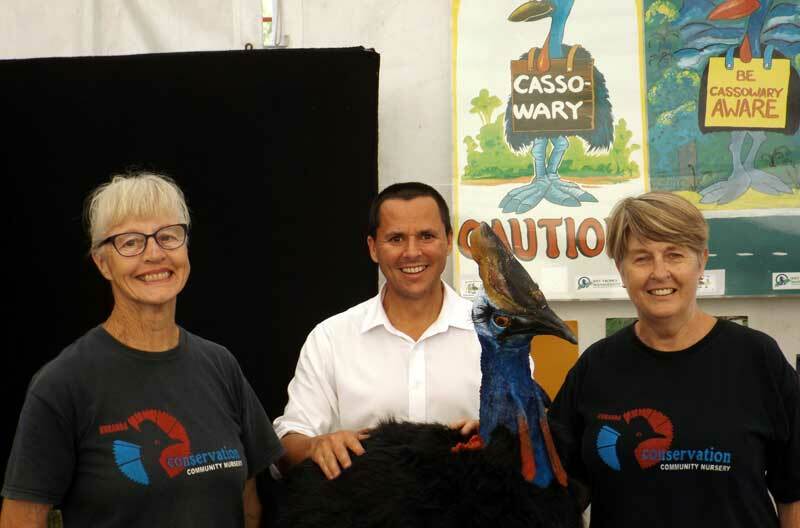 Colin is now on permanent loan to the Cassowary Recovery Team to help raise awareness of the plight of cassowaries. Colin has already met the Threatened Species Commissioner, Gregory Andrews, at the Australian Birdfair in Sydney and is now being cared for by Kuranda Conservation. Kuranda Conservation recently received grant funds for motion-activated cameras to help identify the number of cassowaries in the Kuranda region.These are the first shots from cameras set up near Black Mountain Road which show a cassowary about to cross the road (arrowed below). Also captured are the logging trucks which use the road. The drivers recognise the need for care and slow down at this known cassowary crossing, but it does highlight the danger from all vehicles for these birds. To find out more, see the monitoring page on the Kuranda Conservation website. To report any sightings of cassowaries in the Kuranda region, see the sightings page on the Kuranda Conservation website.